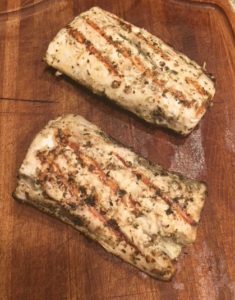 Looking for a way to prepare all your Searcher-caught fish or a use for your canned tuna you made with Dave's Jarred tuna? 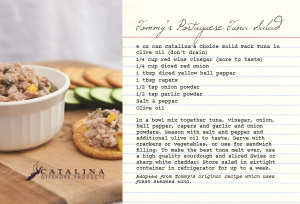 How about giving Tommy's Portuguese Tuna Salad a try? 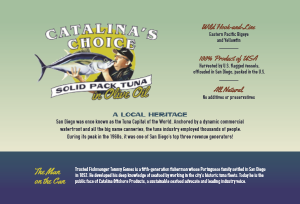 Tommy says you can use Catalina Offshore products Catalina's Choice solid packed tuna or your own jarred tuna or even steamed tuna. They all taste great. 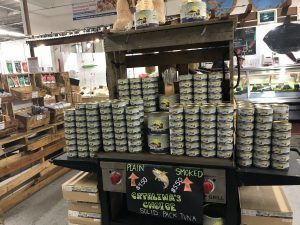 Tommy's Portuguese Tuna Salad can be an appetizer with crackers and vegetables or an amazing tuna melt. It is all your choice and all delicious and worth a try. 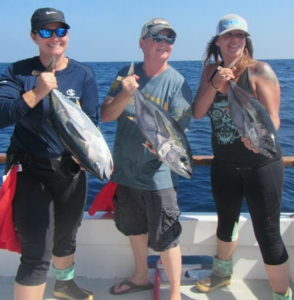 6 oz can of Catalina'a choice Soild Pack Tuna in Olive Oil (don't drain) or your own, you can also use steamed tuna as well.